From his grandmother, Alex Cross has heard the story of his great uncle Abraham and his struggles for survival in the era of the Ku Klux Klan. 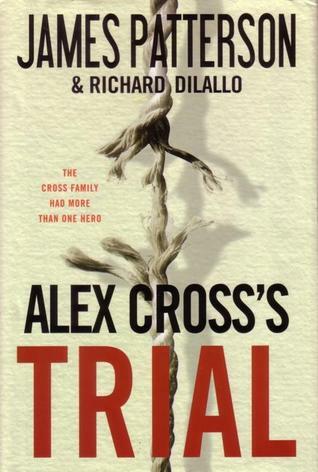 Now, Alex passes the family tale along to his own children in a novel he's written--a novel called Trial. When he arrives in Eudora, Mississippi, Ben meets the wise Abraham Cross and his beautiful granddaughter, Moody. Ben enlists their help, and the two Crosses introduce him to the hidden side of the idyllic Southern town. Lynchings have become commonplace and residents of the town's black quarter live in constant fear. Ben aims to break the reign of terror--but the truth of who is really behind it could break his heart. This book is quite a step away from the regular Alex Cross novels, but it is every bit as intriguing… and much more disturbing. It tackles the history of the Cross family led by one Abraham Cross a strong and extremely intelligent man living in the KKK dominated South. It was hard not to cringe at some of the things going on in this book because the way people were, and still are, treated due to skin color is just plain sickening. It is one of those books that you don’t really want to believe, but know that there is some historical accuracy laced into every page. It was a good book, but hard to get through for reasons above. I say any fan of the Cross series should definitely give it a shot even though it is separate from the main series.